Nikon-T2 adapter with T2-extender is suitable for all 12.5mm backfocus cameras. 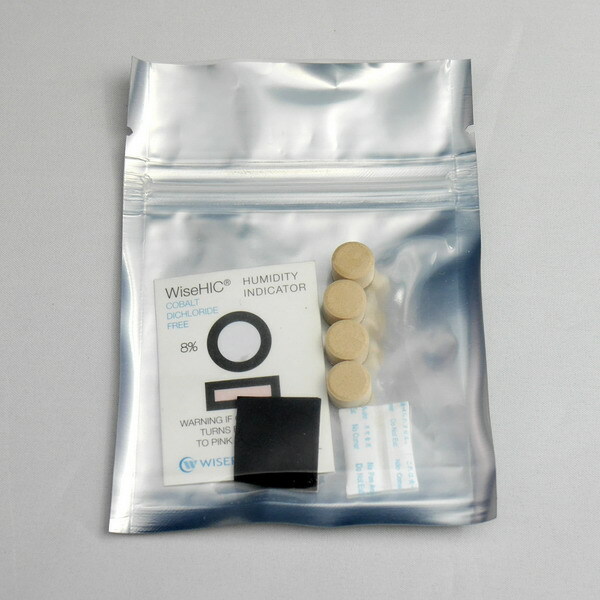 You can use 2″ IR-CUT filter by the adapter. 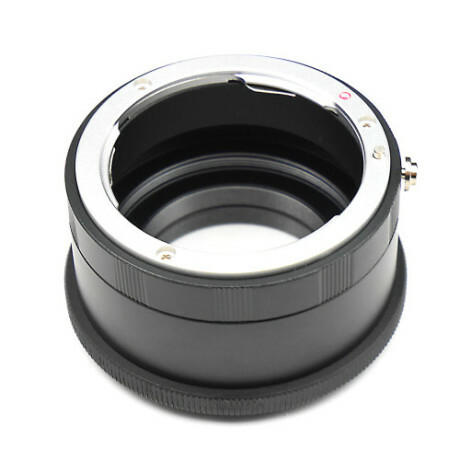 I want to buy this adapter along with ASI1600mm Pro. But I don’t want to order again, if i find my spacing is wrong. 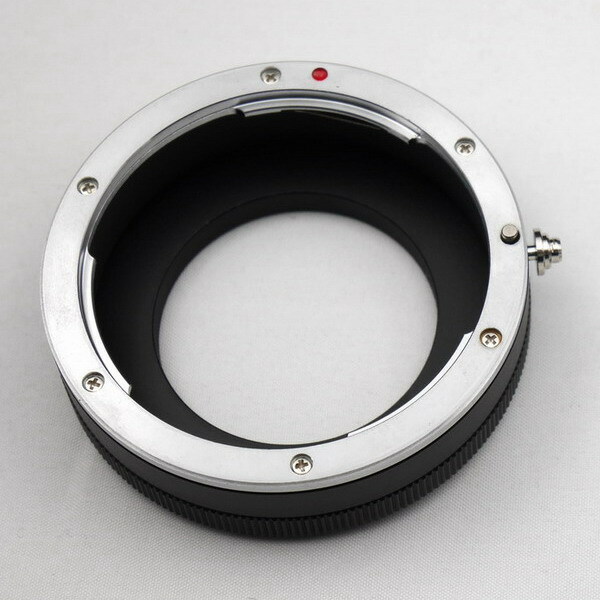 I have a Rokinon 135mm nikon F mount that I want to attach WITHOUT a filter wheel. So I need 46.5 mm to chip. Asi1600mmpro is 6.5mm. So what else do i need to buy? an 11mm extender? after putting everything, will I still be able to stick 2″ narrowband filter in it? thanks!!! Just looking if you can specify exactly the parts I need in imaging train.Thanks again! An 11mm extender is ok.
After I connected this adapter to a Nikon lens, it seems to be locked. How can I disconnect? Push the triggle down, then clockwise rotate the lens. 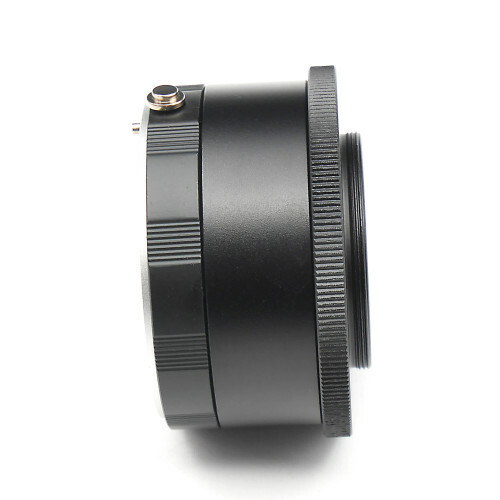 Is there any adapter to put 1,25 filter that I can use with nikon lens, asi178mm-c and this nikon T2 adapter? 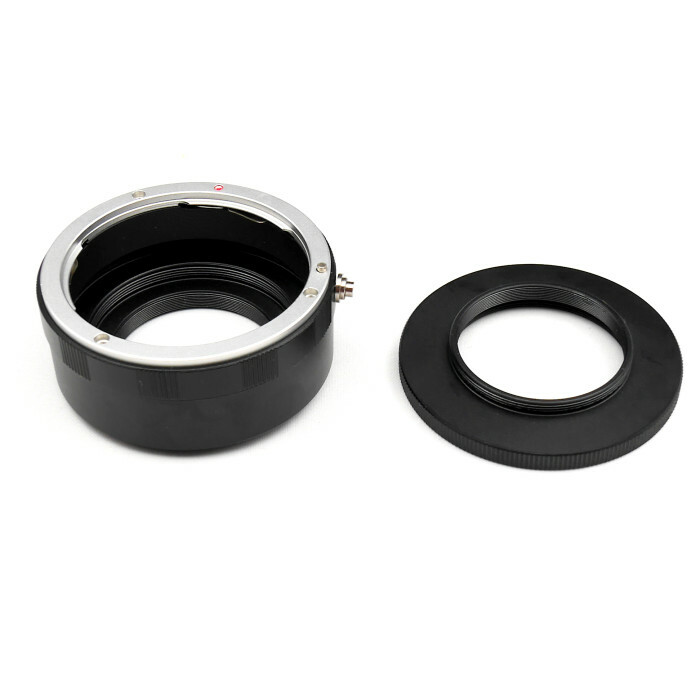 Can I use this adapter with my ASI178mm-c and my lrgb filters 1,25″? I will have focus with nikon lens? My ASI178mm has a non removable T2 ring (11mm). It can work with 178mm-c, but no more distance to add EFW between camera and lens. I am a newbie to photographing, sometimes cannot fully understand the terminology. My plan is to use this adapter to connect zwo asi224mc and a AF-S NIKKOR 200-500mm f/5.6E ED VR lens. 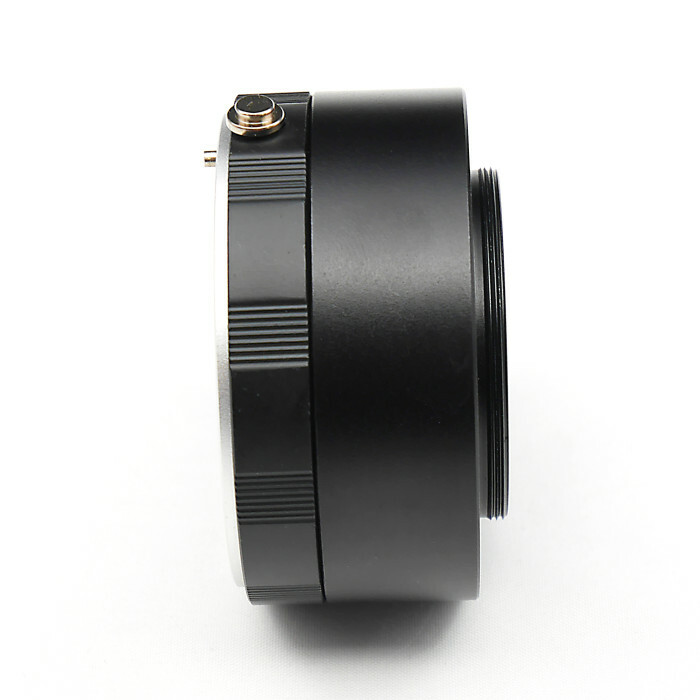 Is this lens a G-type lens? How about the AF-P NIKKOR 70-300mm f/4.5-5.6E ED VR? 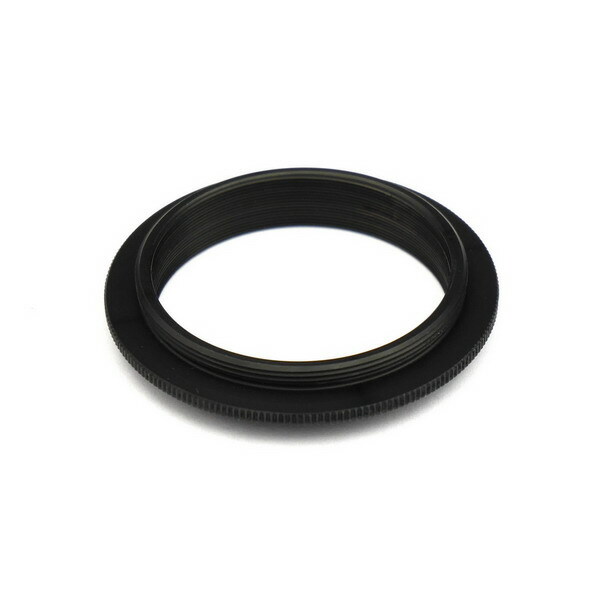 For a G-type lens (for example, AF-S NIKKOR 20mm f/1.8G ED), what happens if I connect it to this adapter? Will the lens be damaged or simply cannot be connected? I’m not sure about your lens is G-type or not. The only problem with G-type is need to open the aperture manually. Nikon F and G type mount lenses supported, except G mount lenses need to have its aperture manually stopped? 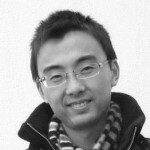 Yes, the aperture need to manually stopped. Can I use this on the ASI071? 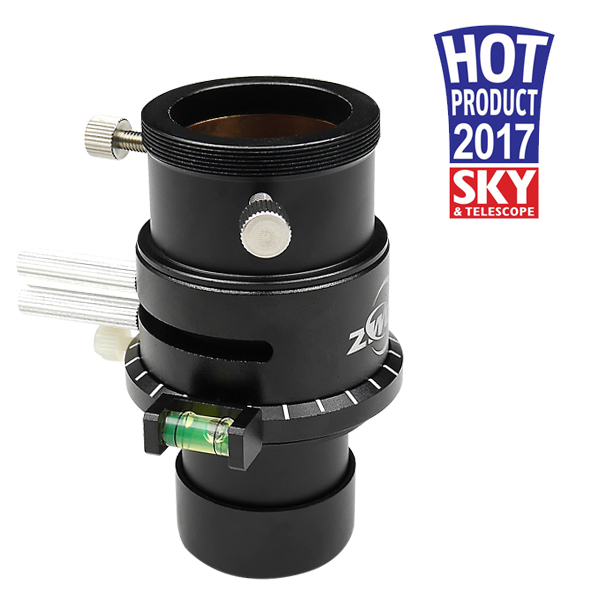 Can this be used with the ASI120MM-S? I have 1.25” narrowband filters. Is there anything that would allow me to use them in conjunction with Nikon lenses and a ZWO camera? 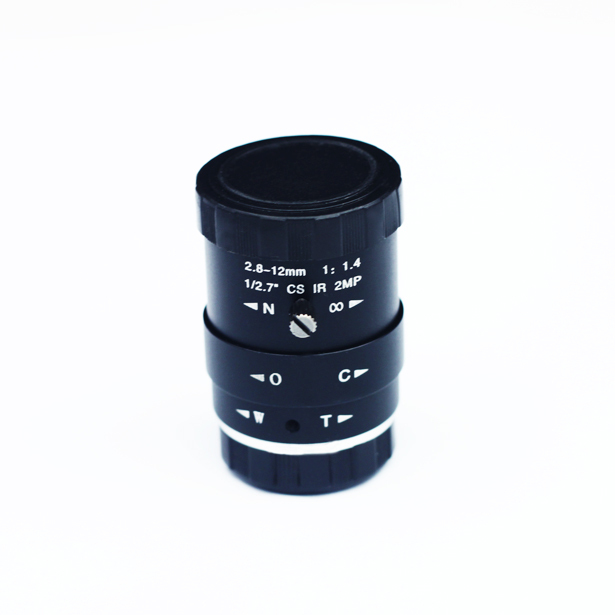 1) The Focal distance is adjustable from 26mm to 33mm. 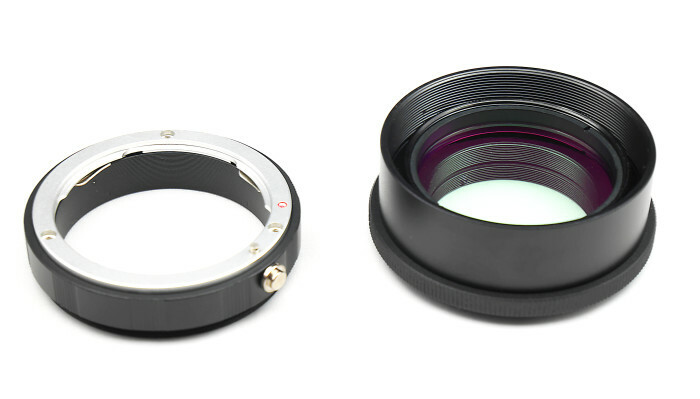 The back focus for a Nikon F-mount is 46.5 mm. 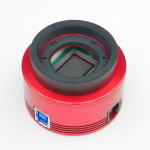 The back focus of the ASI camera is 12.5 mm. 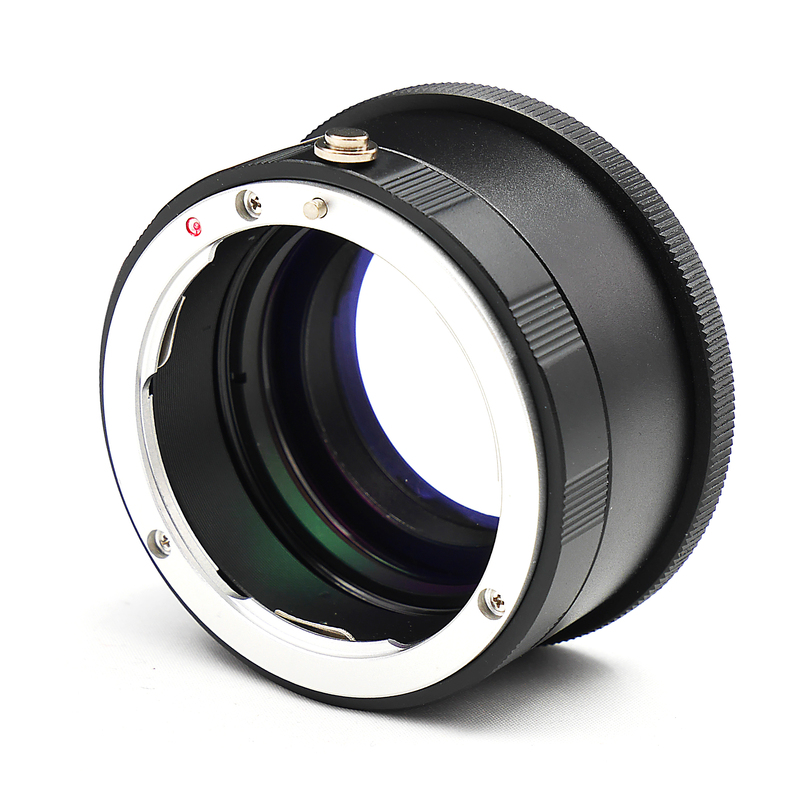 So the maxiomum focal distance possible is 45.5 mm which is 1 mm short. Why? 2) Is it possible to use a T-mount filter between the camera and the adapter? The adjustment range from 33mm to 26 mm should be enough to compensate for the thickness of the filter. 3) I am also in need for an adapter for Olumpus OM mount. I have several good quality lenses with this mount back from the 70’s and 80’s. Any change you will offer those? 4) With respect to Andy’s question: it is possible to use a small spacer to keep the diaphragm open. You could experiment with several spacers to find the diaphragm of your choice. Modern Nikon lenses without a manual aperture ring remain at f22 (or whatever their smallest aperture is) until electronically controlled to open up, or unless an adapter has a physical aperture control ring which physically opens the aperture. I don’t see any such controls on this T2 adapter product. How do you recommend users open their Nikon lens apertures to f1.4 etc as obviously we don’t want to be stuck taking pictures at f22. Hi Sam, many thanks for bringing us the Nikon-ASI adapter! 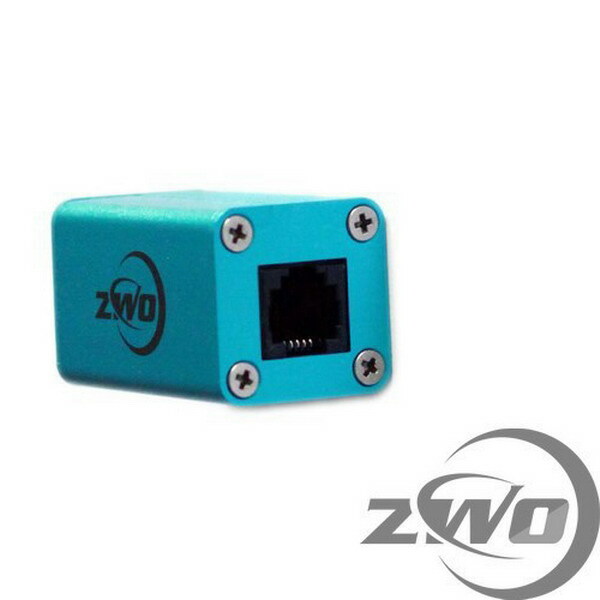 I enquired last year and ZWO really did it as promised. A thumb up for ZWO again! I want to use my new ZWO ‘Nikon T-2 adapter for all ASI cameras’ with my great nikon lenses and wonder what to set the depth adjustment to. 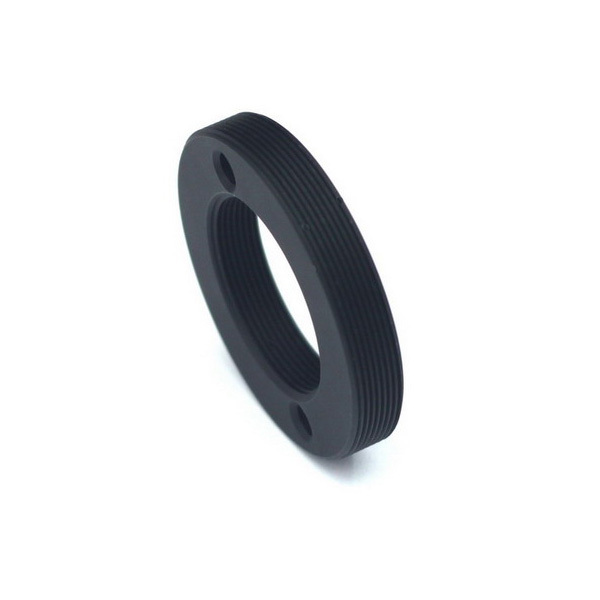 It seems adjustable from about 24mm to 31mm deep. I like my ASI071 btw! There does not seem to be space to completely close down over the ‘Orion SkyGlow Imaging filter’ I want to use. I can machine to allow it to fit possibly… just saying. 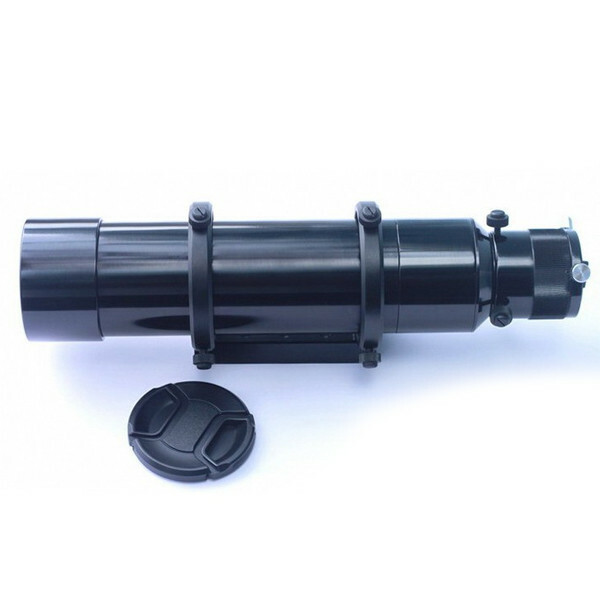 Can this accept 2″ filters inside?